Huzzah! The results of the scavenger hunt are here! I apologize for breaking my promise to have this up on Monday. Let's just say I finished my finals and that wave of laziness after finals was very inviting. While wandering about the Fan Experience a few weeks ago I decided to have a Super Smash Brothers themed scavenger hunt! The results were surprising and incredibly fun. 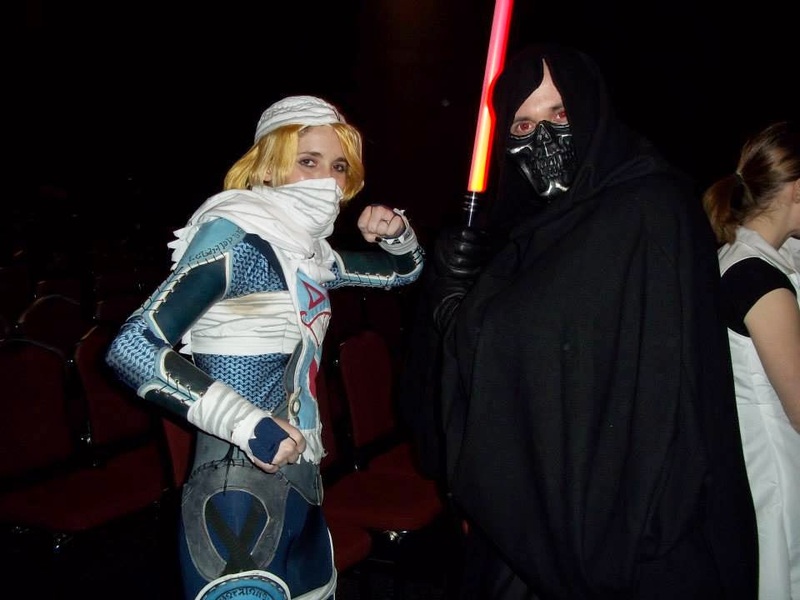 I donned my Sheik cosplay went about picking fights, or rather photos, with other members of the Brawl video game. The very first group we ran into not only had Mario, but Peach and Luigi too! I loved their fake mustaches and the Peach was adorable! We did a boys vs. girls shot and I think Peach and I would have totally won. Princess Peach by Fuyu Cosplay. We ran into my friend Winter who also has a cute Peach costume. I was so glad she wore it to the convention! I do not know if you would call it a hip attack but Peach does this attack in the game where she smacks you with her hip. We chose that for our pose. I love Fuyu Cosplays's face in this picture. Sonic was going to be a tougher one to find, but then we found this guy. Simple yet amazing. I like how he is even wearing the gloves. 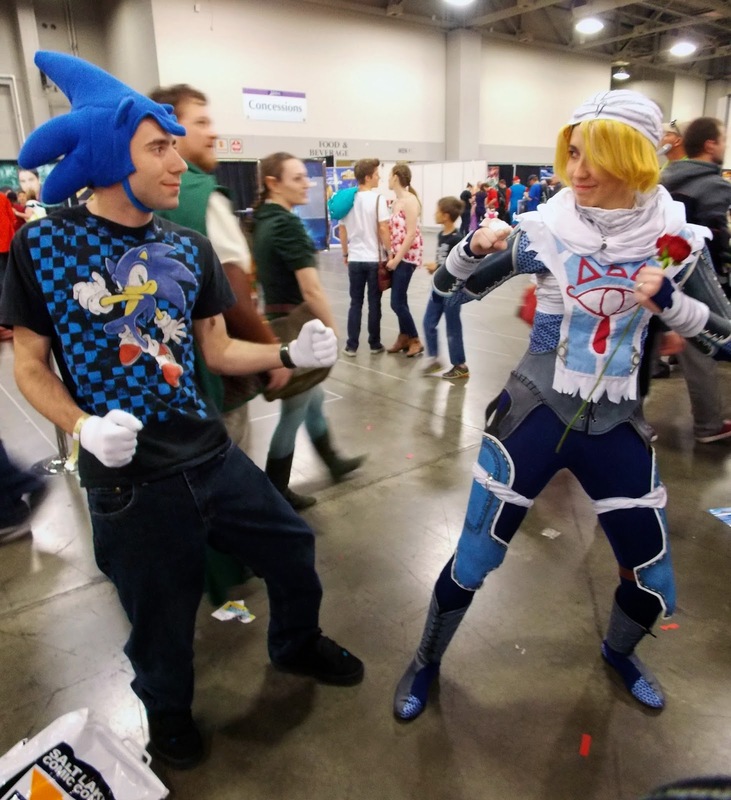 Sonic is probably one of the harder characters to cosplay and Ryan here got it down pretty well with his own style. All hail the Helix Fossil! All Hail the Helix Fossil! Sadee, my best friend, debuted her first ever cosplay made by her. She was Red from Twitch Plays Pokémon. We had to keep redirecting her and she would constantly consult her plush helix fossil, but we managed to coordinate this photo as part of the hunt. 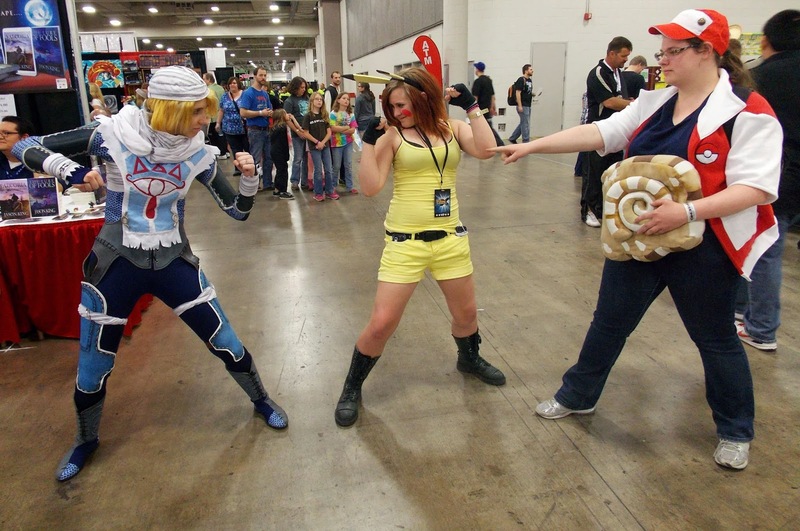 Plus, the Pikachu cosplayer was way fun to talk to and get photos with. 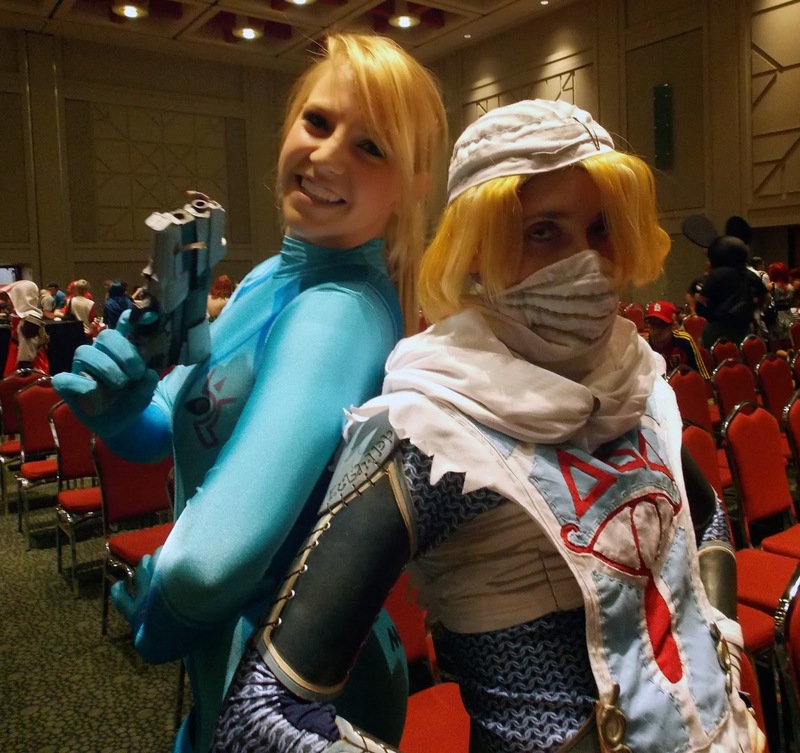 While waiting for a panel with the guys from FaceOff I found this awesome Samus cosplayer. Her gun and her suit were really legit. She also looks like she is having a lot of fun... Maybe I should do some pics without the facemask on. You cannot tell I am smiling. Haha! I found a Bowser. 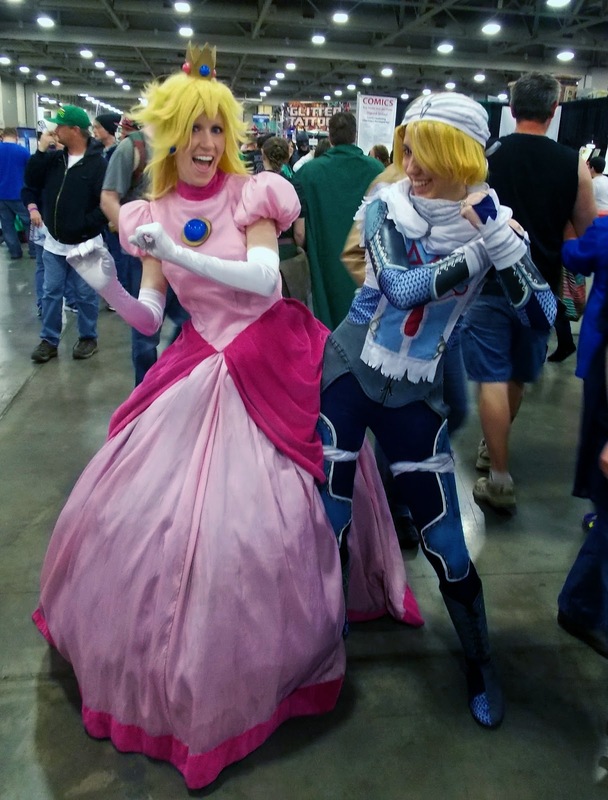 I have one friend with a bowser cosplay and she was not coming to FanX so I thought I would never find one. Well here is one! I love the creativity involved in this cosplay and the unique take on the character. Plus, that is her real hair! Snake, Snake, Snaaaakkkkeee! Probably my younger brother's favorite Brawl character. 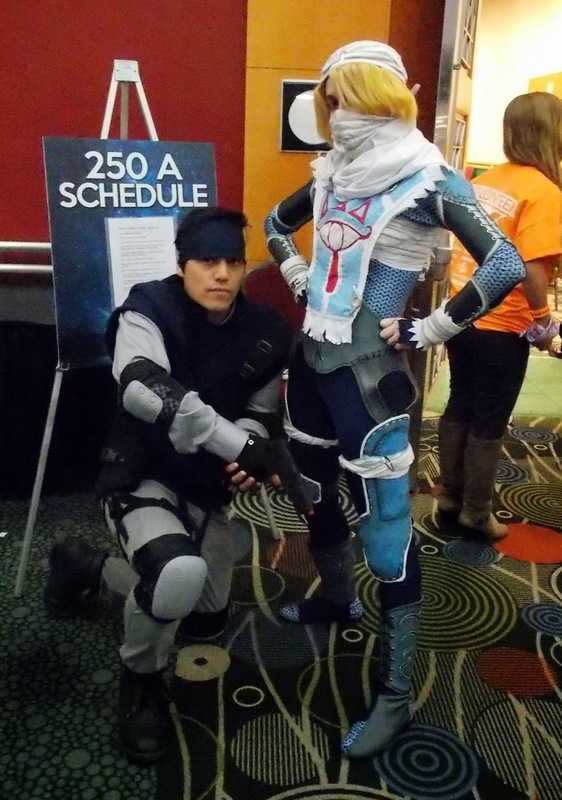 James did a great job on this cosplay and I wish my brother had been there to see it. In the meantime he can see this awesome picture. 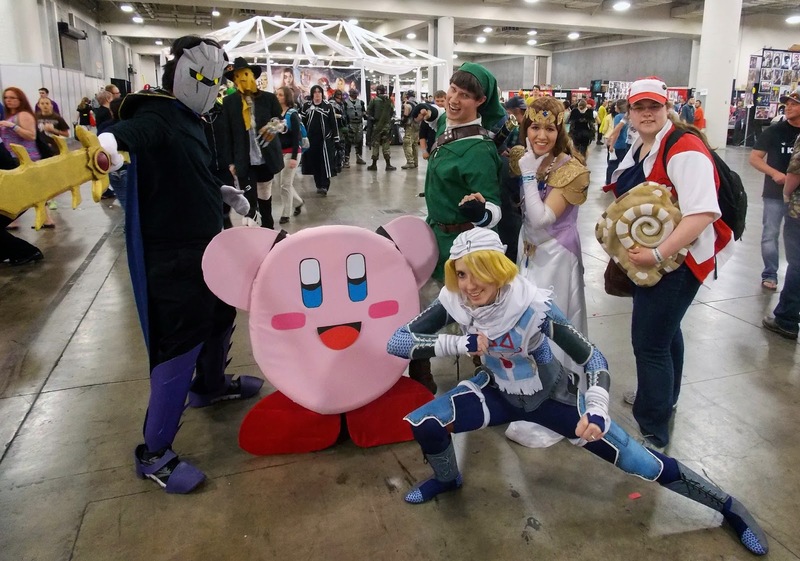 We really did not think we would see a Kirby, let alone Meta Knight, at the con but Joe and his brother Daniel surprised with these awesome cosplays! We also ran into Mike and Murray West, who had the cutest Link and Zelda costume. We could not resist the following picture. Mike and Murray as Link and Zelda. Found Steven of Holy Fire Cosplay in his really cool Sith Lord Cosplay. He did some really slick moves on stage for the cosplay contest and I will post the video eventually (it takes forever to upload!) His mask is so awesome and the lightsaber looked very real on stage.